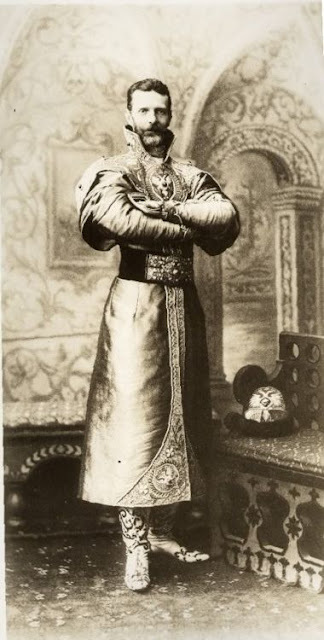 Grand Duke Sergei Alexandrovich (1857-1905), one of the fabulously wealthy Romanovs, was notorious for his homosexual exploits. While serving as Governor of Moscow from 1891 to 1905, he proved partial to young male flesh, often of the prostitute variety. However, being the younger brother of Tsar Alexander III and the uncle of Tsar Nicholas II (ousted by Lenin in 1917) afforded him the ability to live an indiscreet gay life. There were at least seven gay grand dukes at the time – uncles, nephews and cousins of the last two tsars (Alexander III and Nicholas II) – and Serge, as he was called, was at the top of the heap. He was involved in a series of homosexual affairs between 1874 and 1884, when he was living in St. Petersburg. Imperial Chancery Chief Alexander Mossolov complained that Serge’s scandalous private life was the talk of the town. Although there were laws criminalizing homosexuality, the Romanovs chose not to enforce them. During this same time period there was even a gay tsar -- but not a Russian. Tsar Ferdinand I, of German/French ancestry, ruled neighboring Bulgaria from 1887-1918 (see separate post in sidebar). 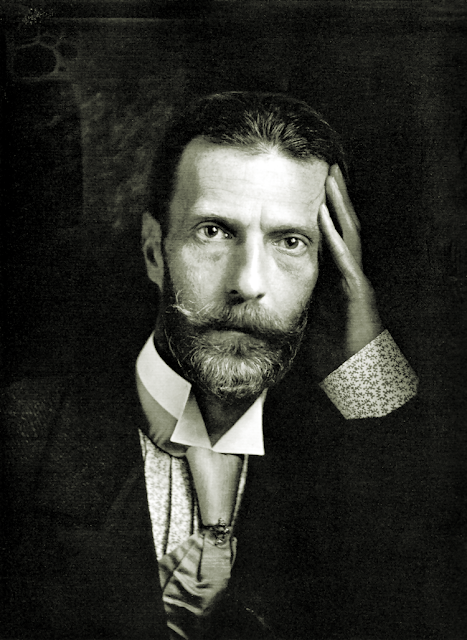 Although Grand Duke Sergei married Princess Elizabeth of Hesse (a granddaughter of Queen Victoria), his sexual orientation assured a childless marriage. However, they became the guardians of the son and daughter of Sergei’s younger brother, Grand Duke Paul, with whom Sergei had enjoyed a special closeness as a youth. Brother Paul had been banished from Russia and stripped of all titles and privileges when, after the death of his first wife, he married a divorced woman of lower social class in 1902, without being granted permission by his nephew, Tsar Nicholas II. Sergei’s wife complained that he showed more affection to their adoptive children than to herself. As a consequence, Sergei suggested more than once that she take a “husband” from her own entourage. Ella, as Princess Elizabeth was called, was more an object of possession than affection, a strikingly beautiful woman Sergei could adorn with jewels to parade before society. Meanwhile, Sergei routinely attended musical performances with his male lover. The Grand Duke had special interests and proficiency in languages, art and music. He was a skilled painter and even played flute in an orchestra. He also wore a corset to accent his trim figure and posture. As well, he had a nervous habit of playing with the many rings on his fingers and never appeared self-assured, despite his rank. Grand Duke Sergei was strict, ultra-religious and without the good humor of his brothers. In his later years he lived in constant fear of assassination, as his own father had been a victim of a terrorist assassination. Unfortunately, such a fate came to pass. While traveling alone by carriage inside the walls of the Kremlin Sergei was killed by a terrorist bomb in 1905, just months after he had retired from the Governorship of Moscow. He was 47 years old at the time of his death.